CHARLOTTESVILLE, Va. (AP) - Authorities have not provided a crowd estimate for the Saturday rally of white nationalists in Charlottesville that descended into chaos. 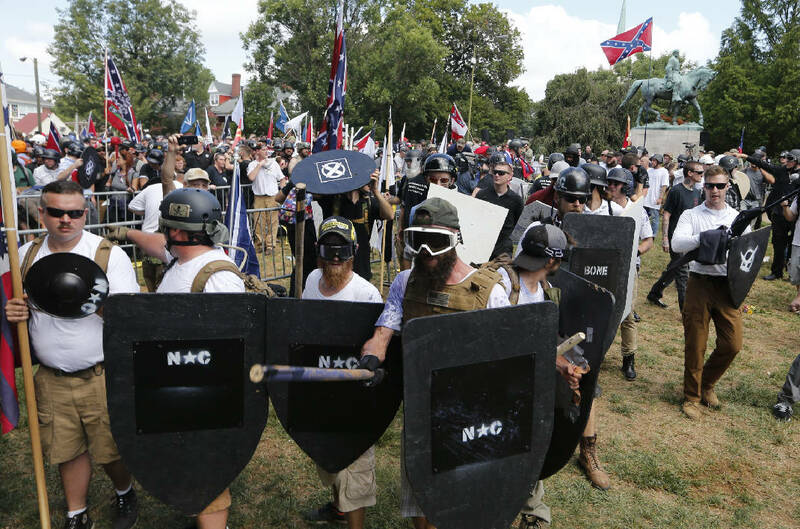 But two organizations that track hate groups and were monitoring the event said it was the largest white supremacist gathering in a decade or more. An Associated Press reporter and photographer who were on the scene all day estimated the white nationalist group at about 500 and the counterprotesters at double that, based on in-person observations and photos, including some taken from just above street level. Virginia State Police spokeswoman Corinne Geller said she did not have a crowd estimate. A city spokeswoman did not respond to questions about the crowd size. Southern Poverty Law Center spokeswoman Heidi Beirich told The Associated Press the next-biggest white supremacist rally her group knew of took place in 2002 in the nation's capital and drew around 300 people. Saturday was "a pretty big deal in this world," she said. Jonathan Greenblatt, CEO of the Anti-Defamation League, said in a statement that the "gathering of extreme hate yesterday in Charlottesville is something we have not seen in at least a decade." Jason Kessler, the organizer of the rally, said he had no sense of how many people were present.